cool fan art. . HD Wallpaper and background images in the Avatar - La Leyenda de Aang club tagged: avatar the last airbender bobos zuko iroh momo. 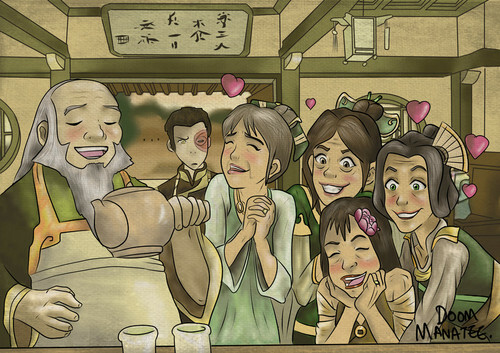 This Avatar - La Leyenda de Aang fan art might contain animado, cómic, manga, historieta, anime, and dibujos animados. FAR OUT... this is AHHHH MAZING!! !